ST. GEORGE — The Gila monster is now Utah’s official state reptile, thanks to the collective lobbying efforts of a group of seventh-graders at Lava Ridge Intermediate School in Santa Clara. The measure, sponsored by Rep. V. Lowry Snow of Utah House District 74, had passed the House on March 1 by a vote of 56-8, with 11 others absent or not voting. “Utah doesn’t have a (state) reptile. This will be a first,” Sen. Don Ipson of Southern Utah’s District 29 said as he encouraged his fellow senators to pass the bill in what ended up being the final action of the Utah Legislature’s 45-day session. Ipson was the bill’s Senate sponsor. A few of Ipson’s colleagues briefly weighed in and expressed their support of the bill before a roll call vote was called. 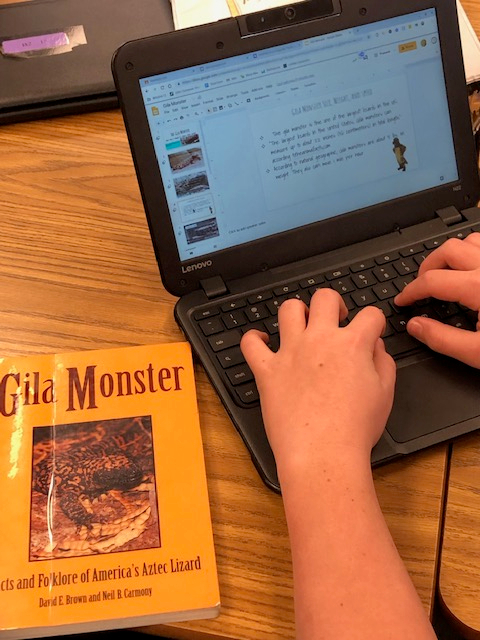 “I think it’s awesome that these kids contacted their local representative and worked through the legislative process, and I’m really hoping we deliver them a victory tonight,” Sen. Deidre Henderson said as she mentioned one of the “cool” facts she learned about Gila monster. “There is a drug that is developed from the Gila monster’s saliva that helps diabetics control glucose and lose weight,” Henderson said. Sen. Ralph Okerlund complimented the children for the presentations they had made during the committee meetings. “They were outstanding, and I hope word gets passed back to them, how great they were,” Okerlund said, adding that he and his fellow lawmakers also appreciated receiving many emails from students about the bill. 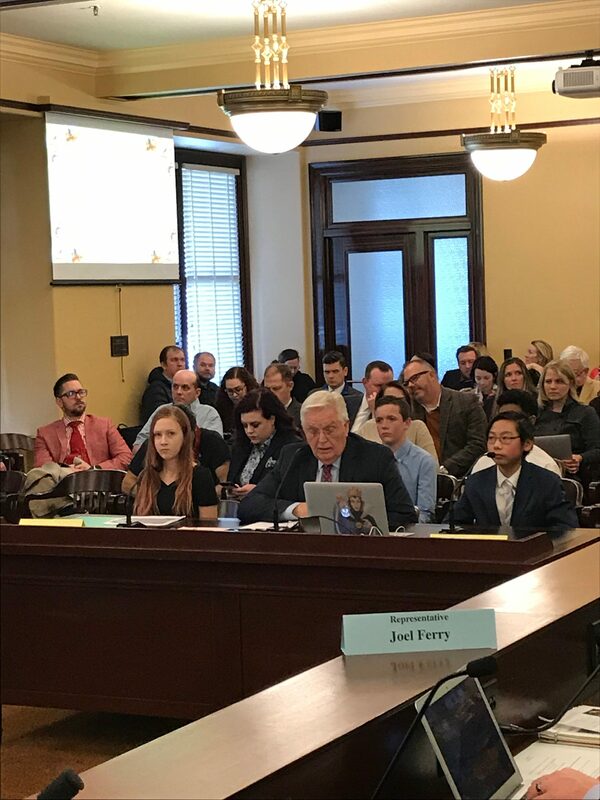 Lava Ridge science teacher Alison Lund told St. George News the students tracked the progress of the bill as it moved from the Natural Resources Committee to the floor of the House, then was passed by a Senate committee and sent to the full Senate, where it passed by a 29-0 vote. At each stage of the process, dozens of Lava Ridge students involved in the project sent emails to the legislators asking for their support, Lund said. 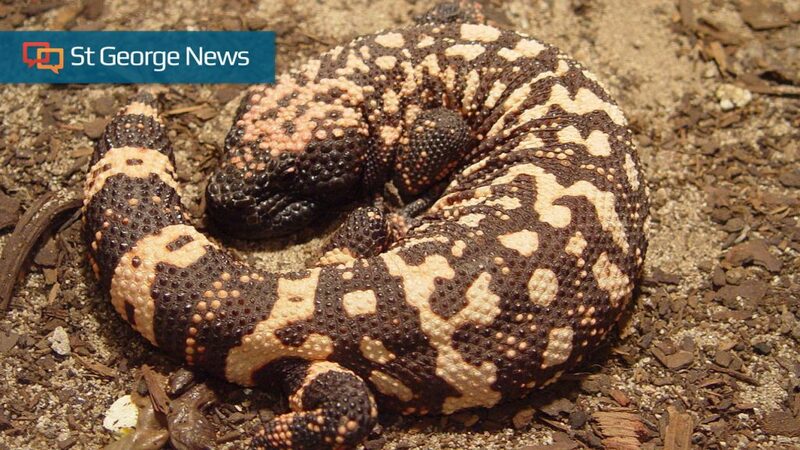 “It was their determination, not unlike the Gila monster’s, that got this legislation passed,” Lund said Friday, the day after the successful vote. The measure now awaits Gov. Gary Herbert’s signature. “I am still in shock that it was voted on last night and could not be more proud of these kids,” Lund added, noting that the students had tackled the months-long project with “unexpected” eagerness. “There were about 70 seventh-grade students participating in this event, and we all learned a lot from it,” she said. Larsen was one of the four students chosen to make the formal presentations during the committee meetings. She was joined by Semaj Thompson, Austin Crosby and Joseph Tsai. Those four, along with seven other Lava Ridge students and few teachers and parents, made the school’s initial field trip to the state Capitol in late February. Then, following the bill’s passage in the Utah House on March 1, Larsen and her fellow presenters traveled back up to Salt Lake City a week or so later for a brief visit to address the Senate committee. Lawmakers Snow and Ipson both told St. George News they greatly enjoyed working with the Lava Ridge students and listening to their comments about the issue. Monday, the first day the Lava Ridge students were back in school after last week’s spring break, Lund reported that the children were “ecstatic” about the news. “We will be having a root beer float party to celebrate,” Lund said, adding that the students aren’t stopping there, as they are already talking about mounting a campaign to change the school’s mascot from the gecko to the Gila monster. Update April 1, 4 p.m. Gov. Gary Herbert officially signed HB 144 into law on March 27.